Setting a new sound standard. Successful communication is the key to an efficient business. The SDW 5000 series sets a new sound standard with super wideband audio, offering a sound experience beyond conventional business standards. The SDW 5000 wireless DECT headset series is one of the first professional communication and collaboration systems to support the next generation of audio – super wideband. This lets the SDW 5000 Series deliver a rich and detailed audio experience that goes beyond conventional business standards. Two microphone noise-cancelling system and pioneering voice detection technology deliver exceptional sound for improved speech intelligibility in noisy environments. Clear, natural sound is vital to effective communication between caller and listener. 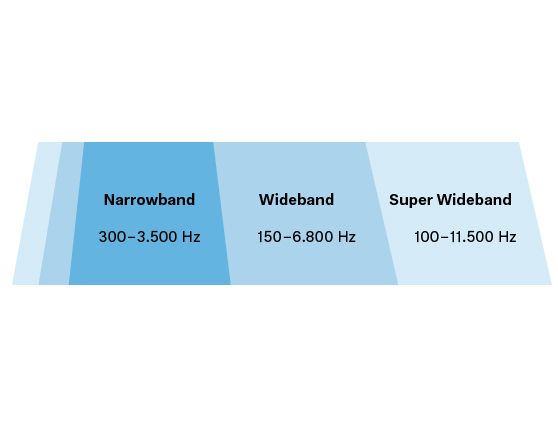 Two microphones pick up the clearest voice signal to improve intelligibility. In combination, this results in better, more natural sounding conversations where no important details are lost and listening fatigue is reduced. Acoustic safety is an important factor when choosing headset. Sennheiser's office headsets are equipped with ActiveGard®, one of the most advanced hearing protection technologies against acoustic injury caused by sudden sound bursts. 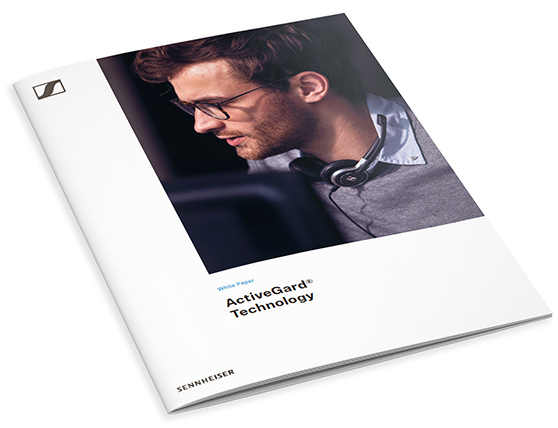 Download this White Paper to learn about the technology, the regulatory background and the safety and wellbeing benefits of ActiveGard technology.